We’re unveiling The Wavemaker, our new mobile reporting platform. Civil Beat is hitting the road. Now we’re headed to parts of the island that often seem overlooked. We want to listen to people who aren’t the usual politicos and community leaders, to hear what they think is important and to talk about living in Hawaii. Civil Beat has always been about civic engagement, using our journalism to bring readers the information they need to make good decisions about important issues. We’ve held numerous events and panel discussions in the eight years we’ve been around. 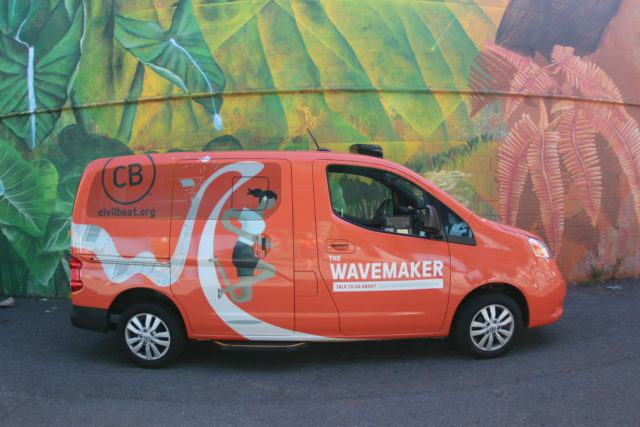 The Wavemaker, Civil Beat’s new (OK, slightly used) van, will debut Thursday night in the Kaimuki Christmas Parade. And we’ve had great success reaching the policymakers and government officials who shape Hawaii’s public affairs. But now we want to get out of the office and into the communities. Away from the Capitol and Honolulu Hale. We’d like you to get to know us too, so you’ll see our journalists and our development team, and we hope you will take the time to connect. We’re not exactly sure how this is all going to work, and we have no set schedule or agenda. We do have some topics in mind we hope people will want to discuss — like the cost of living and rising sea level. We have outfitted the van with audio and video gear, so we know we’ll be doing some podcasts and short films along with reporting and writing stories for the website. We’re developing a special section (coming soon) so it will be easy to track what other neighborhoods are thinking, where we’ve been and where we’ll be going. But we’d really like to hear from you. 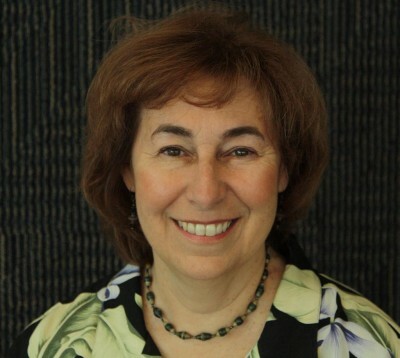 Send suggestions for topics and places we can visit to CBWavemaker@civilbeat.org. You can also follow us on social media at #CBWavemaker. And for a sneak peek at The Wavemaker, come to the Kaimuki Christmas parade Thursday at 6 p.m. We’ll be rolling out the van with the Civil Beat ohana, kids, dogs, the whole crew. Come join us. It’s time to make some waves.